Also, I finally spun up some of the fiber I got in my last Ravelry swap. I picked out all the light colored and murky looking batts and corespun them, then plied with crochet cotton. While I was spinning it, I was totally unhappy with the way it was turning out, but then after I wound it into a skein and looked at it, it was suddenly perfect. Yay! SO MANY THINGS TO DO STILL! Every time I go to my list to cross things off, I have to add more to the bottom. Not that I'm complaining of course, because all the things are fun and exciting, but there's just not enough TIME. I should have been done with Missy's hat ages ago, and I also want my scribbly scarf to get done soon. Plus my friend is pregnant again (Congratulations, Angela!) and knitting baby things is the easiest and funnest knitting there is. If I were in an 80's movie, this part of my life would be shown in fast forward with up-tempo music playing, and at the end of the scene, I would sit back and admire all that I had accomplished. 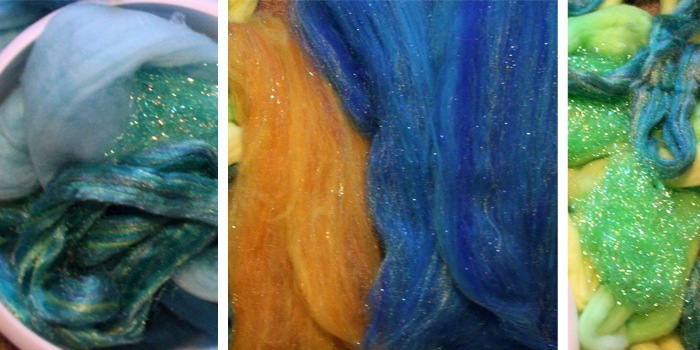 Each 3 ounce batt will have a full ounce of sparkly fiber in it (firestar and angelina) which is a lot. Like, a whole lot. You know those 1/2 ounce baggies of angelina that they normally sell that lasts for like 50 batts? Yeah, I'm using an entire baggie per 2 batts. Plus it's "crinkle cut" angelina, which is much wider than the regular kind and therefore has more reflective surface area. It's a good thing carding is easy and mindless, because I am a sleep-deprived zombie today. I woke up last night at 1am and couldn't get back to sleep. Thankfully, a rerun of a Sliders episode from the netflix instant queue works almost as well as Xanax. Oh, that Quinn and his zany multi-dimensional hijinks. Coming soon to the store: Petit fours mini-batt samplers in "merino-only," for those of you who prefer more subdued fiber, beginner spinner kits containing ecru fiber samples, a drop spindle & a "learn to spin" book, and more diverse spinning fibers like camel down, mohair, and rainbow-dyed English Leicester locks. I shall now have Angelina in my store! Hooray! My box got arrived this afternoon. Edit: Here's the link to the Angelina for sale. I can't believe this, but I sold out of 3 colors while I was still in the middle of uploading the rest! That'll teach me to order more than 1 of each color next time. So sleepy. Must update blog regardless. ^ Petit Fours mini-batt sampler. A cute little package of six tiny, half-ounce batts. I can taste the rainbow. Having all this fiber at my house is like having a ghost in the attic. When I'm downstairs, I find myself staring up at the ceiling as if I can somehow just feel that there's fiber up there, and that I should find out what it wants so I can set it free. I ran out of yellow dye today, but I managed to get an almost-full rainbow of colors. I dyed 1oz of merino and 1/2oz of firestar in each of these colors: black, burgundy, purple, red, hot pink, orange/peach, chartreuse, green, teal, turquoise, and navy. I don't think I'm going to sell any of the solid colors outright, but they'll make some great crazy-batts. 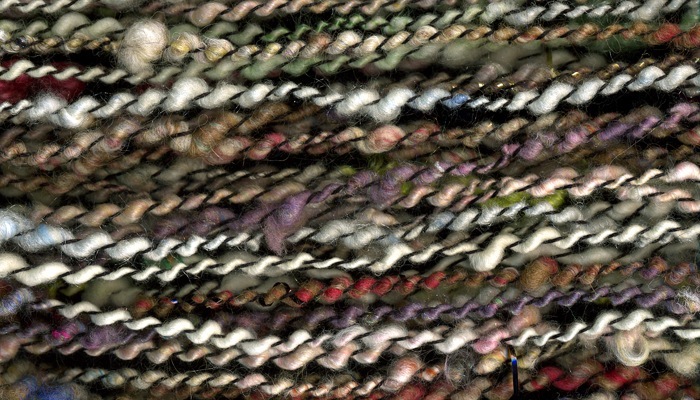 Click on the picture above to see all the wonderful new Ashland Bay fibers available for sale in the Gritty Knits store. I am selling everything as inexpensively as I can afford to, so you'll find some really great bargains. 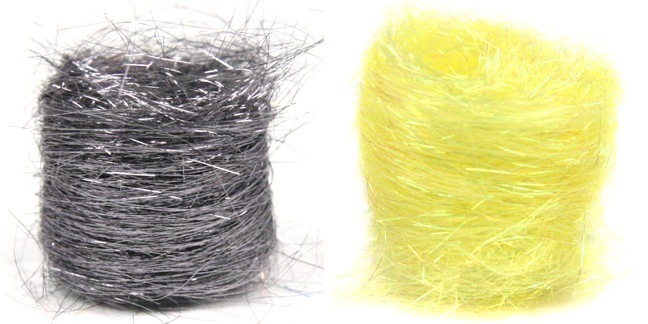 Including merino top for $17.60/lb! As sick as you all must be of hearing about the state of the economy, I thought I could bring some cheap-wool-inspired cheer into the lives of the spinners who stumble upon my shop. Click this one to see the new selection of hand dyed merino top. More to come shortly; I'm dying it so fast, I've run out of places to hang everything to dry! My whole house smells like wet wool, dye, and vinegar. Bad for my husband, good for you.